Have you ever wondered who makes BMW vehicles? BMW, which stands for Bayerische Motoren Werke Aktiengeselleschaft and translates to Bavarian Motor Works, is owned by the parent company, BMW Group. This company also owns luxury auto brands like Mini and Rolls-Royce, and BMW has its headquarters in Munich, Germany. What is the BMW Group? The BMW Group is also known as BMW AG in Germany. This company is incorporated and owned by shareholders, which is what the AG indicates. The Quandt family is a long-time shareholder of BMW AG, and between a brother and sister, they own half of the company. The rest of split between public shareholders. Knowing more about the company that makes your vehicle and where it comes from makes buying a BMW in the Pekin area even more exciting. 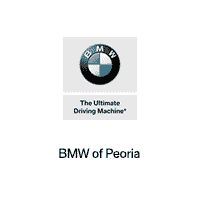 Whether you’re looking for a new or used BMW or your current vehicle needs service, we’re here to help at BMW of Peoria. Contact us with any questions or visit our showroom, near Dunlap, to explore our inventory in person. Be sure to also check out our favorite things to do in Peoria! Peoria, IL is one of the larger metropolitan cities in the entire state, with an established university and tons of history that attracts visitors regularly. Whether you live in nearby Pekin or you are headed in from out of town, make your trip to Peoria memorable with this list of things to do in Peoria…. 0 comment(s) so far on Who Owns BMW?